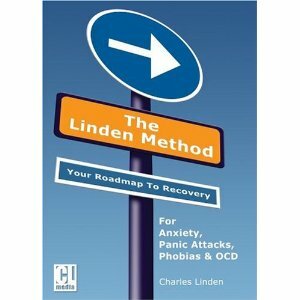 Today I’m gonna take a closer look at the popular Anxiety and Panic Attack Elimination program called The Linden Method. Linden method is very popular method for eliminating anxiety and panic attacks, that’s why I wanted to find out more about it and see how it compares to Easy calm or Panic away programs. There are a lot of positive reviews about the Linden method, but as this program offers an affiliate commission it’s easy to guess that most of this reviews are biased. Therefore it’s best to search for actual customer reviews on amazon and some specialized moderated forums. Let’s firstly see what are some of the negative things and comments that actual customers have to say about this program. Some potential customers are irritated by the extraordinary claims author Charles Linden gives to potential customers on his website. Charles is very confident in his method and in some instances gives an impression that his method is the best if not the only method for eliminating panic attacks and anxiety. I must admit that I’m also a bit turned away with unbelievable claims in sales copy when buying some program or course. With anxiety, as well as any other issues people may face, I believe that there are many different approaches which lead to success. One should however choose one that suits his needs and stick with it for at least 30 days. And if you read more carefully, that’s actually what Charles wants to convey. If you invest in his program, commit to it for a certain period. Where Charles also compensate for his self assuredness is his extraordinary refund policy. He gives you 365 days to try the program, risk free. If you are not satisfied, you can ask for a refund, no questions asked. The process behind the Linden method is described with the so called “Nine pillars”. The suggested approach is to internalize the “nine pillars”, incorporate visualizations and Tai Chi into your daily routine and stick with the method. There are two additional elements added: diversion and correcting your breathing and posture. Some of the mentioned pillars basically tell you to rely on this method while you’re doing it and to stop other therapy. Other major point is to stop focusing on your anxiety. Charles Linden shares a story about how he overcame his own problems. From his story it’s evident that Charles took Cognitive-behavior therapy which helped him with his situation. If it was helpful, how come he now advises people to rely only on his method? This is another question critics point out. Charles did integrate all the useful stuff that his CBT therapist thought him, but we still cannot know if that will be enough for your own situation. Judging by the positive reviews (from actual customers), for many people this was enough. Further, in the Nine Pillars book, physiology of anxiety is explained in detail. Also, there are many practical ideas on how to use “diversion tactics” to distract your mind covered in the book. Refund: 365 days refund guarantee!